Now for "the rest of the story". Denver, May 20. 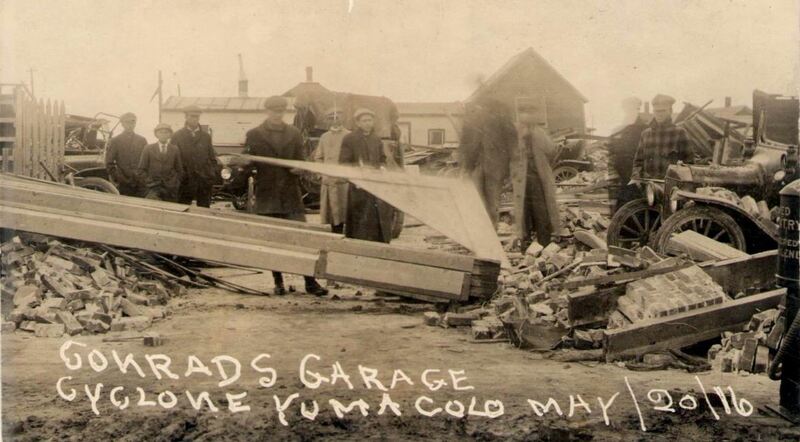 -- Information reached here tonight that a severe storm, approaching a cyclone, struck Yuma, Colo., this afternoon, injuring several people and razing buildings. Wire communication with Yuma was cut off tonight and details were lacking. Yuma is in eastern Colorado. Late tonight communication with Yuma was restored. The cyclone cut a swath through the center of the town, damaging eighteen residences and six business structures. Eighteen persons are known to have been injured, of whom five are so badly hurt that death may result. The property loss will be very heavy. It is not yet known whether there was any serious damage or loss of life outside the town. The cyclone was on my birthday... about 59 years before I was born!